Jesuit priests José de Anchieta and Manoel da Nóbrega walked up the Serra do Mar mountains in 1553 to find out a safe place to catechize native Indians; reaching Piratininga plateau, they found the ideal location. “Cold and tempered winds like in Spain” and “a healthy and fresh land and good waters" called their attention. They built a college on a low hill, close to river Tamanduateí and Anhangabaú, where they said a mass. 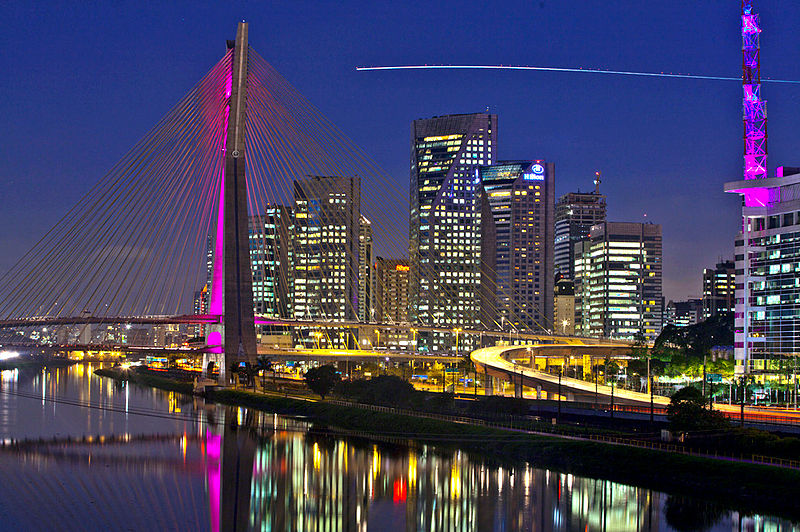 It was January 25, 1554, the date we celebrate the anniversary of São Paulo. Almost five centuries late, the small village of Piratininga became an 11,000,000 inhabitant city. Only the foundations of the buildings made by priests and Indians are left in Pateo do Collegio. Piratininga had 157 years to become a city named São Paulo, decision ratified by the king of Portugal. At that time, São Paulo still was the starting point of ‘bandeiras’, expeditions designed to enslave indigenous peoples and to find precious metals and stones. In 1815, the city became the capital of São Paulo Province. Eleven years later, the first graduation course was opened, the School of Law in Largo São Francisco. Since them, São Paulo became an important intellectual and political center in Brazil. But only after the coffee culture expansion, in the end of the century 19, that São Paulo became an important economic center. Immigrants from all over the world came to work in harvests and, then, in the growing industrial park in the city. More than a half of inhabitants of São Paulo were immigrants in the middle of the 1890s. In the beginning of the 30s, the elite of the State of São Paulo faced the federal government, leading to the Constitutional Revolution in 1932 that began on July 9, (today a State holiday); after three weeks of fighting, São Paulo lost the action. The State had been isolated in political scene, but new education institutions were not avoided. Founded in 1935, the University of São Paulo received important professors, like French anthropologist Lévi-Strauss. During the 40s, São Paulo also had important urban intervention, especially in transport system; industry became the main economic engine in São Paulo. 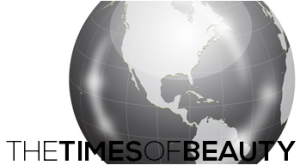 The growing workforce needs in both sectors called people from a number of States in Brazil, mainly from the Northeastern area. During the 70's, services also had an outstanding position in the São Paulo economy. Industries moved to cities in Greater São Paulo, such as the ABCD region (Santo André, São Bernardo do Campo, São Caetano do Sul and Diadema). Today São Paulo is the financial heart in Latin America still receiving people friendly to work and live in São Paulo, in a tolerant environment, respecting diversity of creeds, ethnic groups, sexual orientation and tribes. It’s difficult to talk about São Paulo without mentioning its size. It is the fourth most populous city in the world, and the largest in the southern hemisphere. Almost 11 million people live within its 1,530 square kilometers, according to the year 2000 Census. Yet São Paulo is not an island in this sea of people. The São Paulo Metropolitan Area includes, besides the city itself, 38 other municipalities. As in any great metropolis, the population density is quite high and in many cases, it is difficult to know where the city ends. All told, the region is home to 20 million people, many from all over Brazil and the world. São Paulo is no longer “the misty city.” According to the study “Meteorology and Atmospheric Pollution in São Paulo,” by the University of São Paulo, increases in average temperature over the last 40 years have led to a reduction in the mists and fogs that once characterized the city. 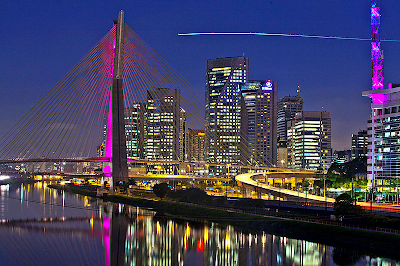 São Paulo enjoys a high-altitude tropical climate, with summer rains and an average temperature of from 19º to 27 ºC. It is possible to experience all four seasons in just one day. In the morning, the weather can be sunny and cloudless yet the day may end with a storm. This is why Paulistanos often carry jackets and umbrellas, even on hot days. In the summer, it usually rains at the end of the afternoon, cooling things off. In the fall, the temperature is pleasant at an average of around 23ºC. Winter days are sunny and dry with temperatures that rarely dip below 15ºC. In the spring, it is usually warm and dry.